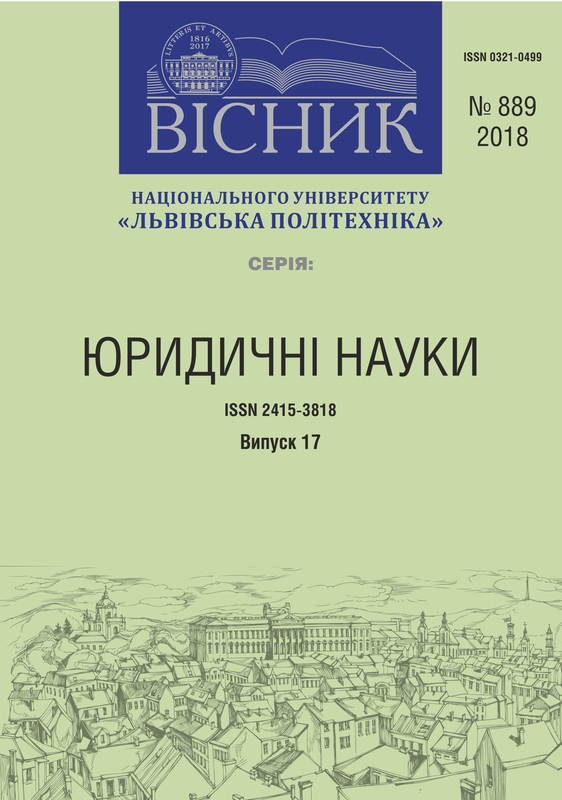 The article examines the influence of integration processes on the development of the system of higher education in Ukraine, examines the concept of integration in higher education, defines the content of the concept of the integration environment in the process of training future specialists. As a result of the analysis, it was investigated that complex and multicomponent concept of integration in education can be considered in the external manifestation as a process of reforming, modernizing education, moving to the European space, one of the tasks of which is to raise competence of future specialists to world standards, as well as in its internal manifestation , which implies a variety of areas, such as the integration of content of educational disciplines, the integration of education and science, higher education institutions and enterprises, etc. 1. Zhukova V. O. Innovatsiyna model' rozvytku vyshchoho navchal'noho zakladu yak chynnyk zabezpechennya vysokoyi yakosti pidhotovky fakhivtsiv [Innovative model of the development of a higher educational institution as a factor of providing high quality training of specialists.]. Naukovi pratsi Kirovohrads'koho natsional'noho tekhnichnoho universytetu. Ekonomichni nauky. 2010. Vol. 17. pp. 344–349. 2. Martynenko S. Yevropeys'kyy prostir vyshchoyi osvity: Tendentsiyi rozvytku ta priorytety [European Higher Education Area: Development Trends and Priorities.]. Osvitolohiya. 2013. Vol. 2. pp. 163–167. 3. Vyel'cheva N. I. Naukovo-teoretychni osnovy derzhavnoho rehulyuvannya vyshchoyi osvity. [Theoretical and theoretical foundations of state regulation of higher education.]. Available at: http://nbuv.gov.ua/UJRN/DeBu_2009_2_13. 4. Sydorenko T. M. Mekhanizm innovatsiynoho funktsionuvannya ta rozvytku vyshchoyi osvity Ukrayiny [The mechanism of innovative functioning and development of higher education in Ukraine.]. Visnyk Kyyivs'koho natsional'noho universytetu tekhnolohiy ta dyzaynu Seriya “Ekonomichni nauky” Ekonomika ta upravlinnya pidpryyemstvamy. 2015. No. 5(91). pp. 77–84. 5. Lektsiya 3: Zmist osvity. Vyshchyy navchal'nyy zaklad u systemi osvity. [Contents of education. Higher educational institution in the education system.]. Available at: http://moodle.ipo.kpi.ua/moodle/mod/resource/view.php?id=40263#%D0%BB3%D.... 6. Skyba T. Yu. Analiz stanu i tendentsiyi rozvytku vyshchoyi osvity v Ukrayini [Analysis of the state and trends of higher education in Ukraine]. Naukovi pratsi. Derzhavne upravlinnya. 2013. Vol. 202. T. 214. pp. 136– 140. 7. Kyyan M., Okladna M., Perevalova L. Cuchasni tendentsiyi rozvytku vyshchoyi osvity v Ukrayini. Available at: http://www.kpi.kharkov.ua/archive/Conferences. 8. Dluhopol's'kyy O. Rozbudova vnutrishn'oyi systemy zabezpechennya yakosti vyshchoyi osvity Ukrayiny u svitli oriyentyriv yevropeys'koho standartu [Development of an internal quality assurance system for higher education in Ukraine in the light of European standards]. Vyshcha osvita v Ukrayini: poryadok dennyy dlya reform. za zah. red. Nikolayeva Ye. B. Kyiv: Predstavnytstvo Fondu Konrada Adenauera v Ukrayini Publ, 2017. pp. 28–33. 9. Nikolayenko S. Yakist' vyshchoyi osvity Ukrayiny – pohlyad u maybutnye [The quality of higher education in Ukraine is a look into the future.]. Svit finansiv. Vypusk 3(8). Zhovten' 2006. pp. 7–22. 10. Bolyubash Ya. Ya. Orhanizatsiya navchal'noho protsesu u vyshchykh zakladakh osvity: Navch. posibnyk dlya slukhachiv zakladiv pidvyshchennya kvalifikatsiyi systemy vyshchoyi osvity. [Organization of educational process in higher educational institutions: Teaching. A guide for students of institutions of higher education for higher education.]. Kyiv: VVP “KOMPAS” Publ, 1997. 64 p. 11. Yakymenko O. O. Chynnyky vplyvu na realizatsiyu orhanizatsiyno-pravovoho mekhanizmu derzhavnoho rehulyuvannya transformatsiyi vyshchoyi osvity v Ukrayini [Factors influencing the implementation of the organizational and legal mechanism of state regulation of the transformation of higher education in Ukraine]. Visnyk Natsional'noho universytetu tsyvil'noho zakhystu Ukrayiny. Seriya: Derzhavne upravlinnya. 2016. Vol. 2. pp. 141–151. 12. Ukaz Prezydenta Ukrayiny “Pro Natsional'nu stratehiyu rozvytku osvity v Ukrayini na period do 2021 roku” No. 344/2013 vid 25 chervnya 2013 r. [Decree of the President of Ukraine “On the National Strategy for the Development of Education in Ukraine until 2021” No. 344/2013 dated June 25, 2013.]. Available at: http://zakon4.rada.gov.ua/ laws/show/344/2013.